In El Paso, Texas, The Plaza Classic Film Festival (billed as the world's largest classic film festival) will take place from August 2 - 12, 2018. Dozens of diverse films will be presented at different locations. Highlights include Lady and the Tramp, a 35mm screening of The Brave Bulls, The Getaway (with special guest Ali MacGraw), a 35mm screening of Vertigo (preceded by a talk), a Director's Cut of Bullfighter and the Lady, Roman Holiday, a 35mm screening of The Cameraman (accompanied by organist Walt Strony), a 35mm screening of 42nd Street, Bullitt, a 35mm screening of Gaslight, a 35mm screening of The Border, Nebraska (with special guest Bruce Dern and preceded by a talk), the U.S. premiere of The Man Who Killed Hitler and Then the Bigfoot (with special guests Sam Elliott and Robert Krzykowski), a 35mm screening of Coming Home (with special guest Bruce Dern), and many, many more. A number of important screenings will occur at the American Cinematheque Aero Theatre in Santa Monica, California this month. Highlights include Airplane! on Friday, August 3 at 7:30pm (a discussion will follow with directors Jim Abrahams, David Zucker and Jerry Zucker, and star Robert Hays), Wanda on Saturday, August 4 at 7:30pm (a new restoration and introduction by Kate and Laura Mulleavy, founders of Rodarte), Who's Afraid of Virginia Woolf? 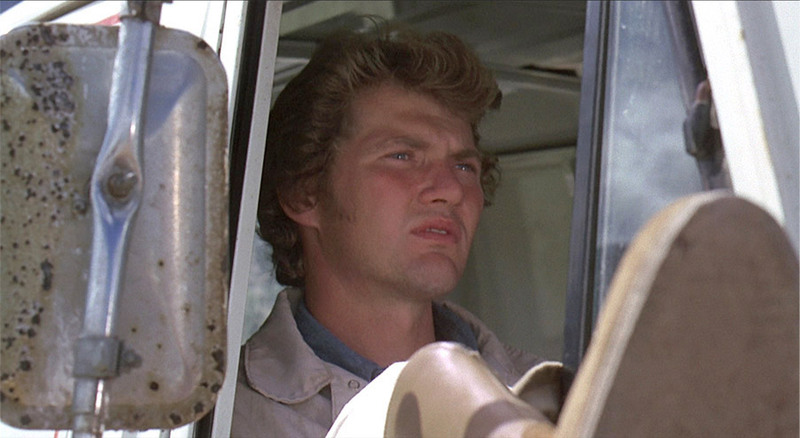 on Sunday, August 5 at 7:30pm (a discussion will follow with actor George Segal, moderated by Foster Hirsch), a 3-D double feature of Man in the Dark and Inferno on Saturday, August 11 at 7:30pm, and The Stunt Man on Thursday, August 16 at 7:30pm (a discussion will follow with actor Steve Railsback and director Richard Rush). 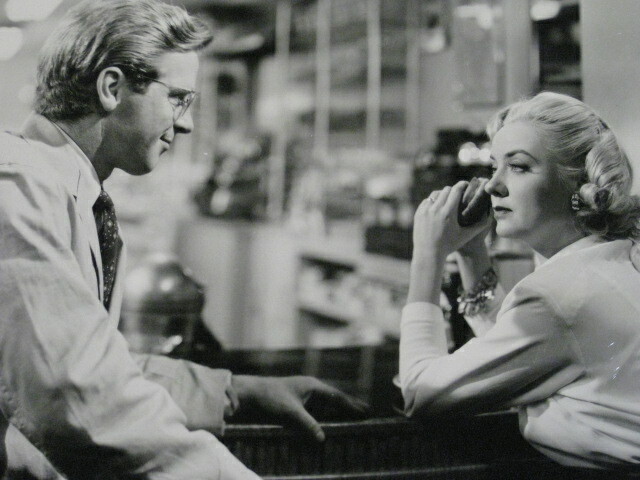 The other features to be included in the series are: In a Lonely Place, Dead Reckoning, The Postman Always Rings Twice, My Name is Julia Ross, Pushover, Strangers on a Train, Crossfire and Macao. 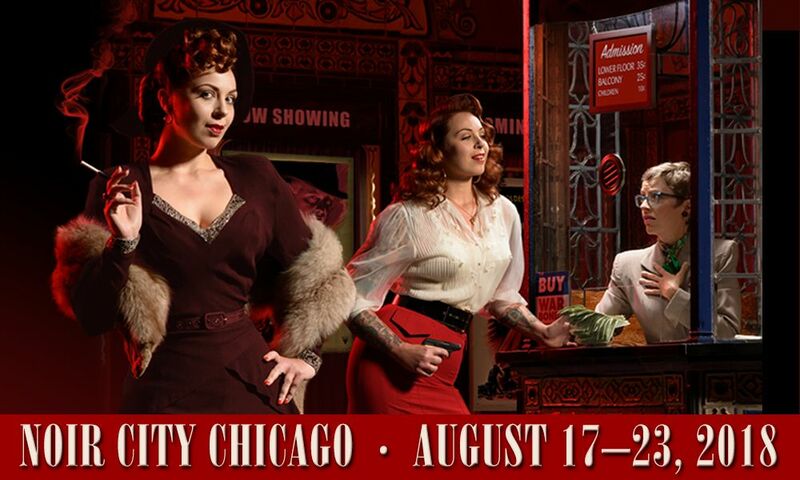 Speaking of films noir, Eddie Muller will host Noir City in Chicago, Illinois this month from August 17 - 23. Highlights include the opening night presentation of neo-noir One False Move (with special guest Carl Franklin in attendance for a post-film Q&A), Conflict, The Unsuspected, Blind Spot, a new digital restoration of I Walk Alone, a recent 35mm restoration of The Man Who Cheated Himself, and I Was a Shoplifter. All of the aforementioned films, excepting I Walk Alone, will be 35mm presentations. In Hollywood, California, Cinecon 54 will take place from August 30 - September 3 2018. Cinecon screens rare films from the silent and early sound era. Highlights include Helen's Babies (1924, with Edward Everett Horton and Baby Peggy), Outside the Law 1920, with Lon Chaney), Brats and Hog Wild (both 1930 Laurel and Hardy shorts, restored by UCLA), a 35mm screening of The Ape (1940, with Boris Karloff), Seven Sinners (1925), Infernal Machine (1933), Naughty Baby (1928, directed by Mervyn LeRoy and considered lost until last year), The Shakedown (1929, restored by Universal), Legion of Terror (1936), and many more. For an uproarious and thoroughly engaging movie-watching experience, it's hard to beat Bringing Up Baby previously recommended here. The antics will begin on TCM Sunday, August 5 at 5pm PST. My next recommendation is a boxing film that makes Rocky look like a glamour puss. The filmmakers here, zero in on one big event as it happens in “real time” (like the western High Noon) and our central character who truly believes it's finally his turn to win big. Nevertheless, the fix is in, so that win or lose, our down and out hero is doomed either way. This ups The Set-Up’s knockout noir punch, while raising the temperature on the viewer’s embroilment in the events as they unfold. Robert Ryan (a college boxer in real life) plays washed-up fighter Stoker Thompson with his customarily assertive and genuine devotion. His current bout is taking place in Paradise City, which as presented to us by maverick cinematographer Milton R. Krasner, could not be more mislabelled: as dark, desolate and depressing as any noir city anywhere. As he and his fellow boxers prepare to do battle in their dingy little dressing room, each keeps the dream alive of procuring better results than what the past’s grim reality would suggest, not only for themselves but in support of one another. This shared humanity contrasts greatly with the bloodthirsty ringside spectators who call out for their own special type of gruesome physical punishment to be meted out on their opponents. Adding to this dour, defeatist environment is Stoker’s wife (Audrey Totter), repeatedly begging her husband to quit fighting and end the painful beating they’ve both suffered through for so long. Lastly, there’s Stoker’s manager Tiny (George Tobias), who unbeknownst to Stoker, is so convinced that his fighter will lose once again, bets against him, assuring local mob boss Little Boy (Alan Baxter) of Stoker’s younger rival’s victory. Stoker’s match is viscerally explosive thanks to former pro boxer John Indrisano‘s choreography and editor Roland Gross’ masterful skills. The Set-Up, along with another boxing film, Champion was released in 1949, but is the less melodramatic and more efficient of the two. This is highly-charged cinematic storytelling: a taught, sombre and keenly felt tragedy from a director provenly proficient in all genres of filmmaking, Robert Wise. The Set-Up will occur (updated) Monday, March 4 at 10:30am PST. Featured today in TCM's "Summer Under the Stars" is actress Audrey Totter, known for her exceptional work in films noir. Following The Set-Up, is a completely opposite kind of characterisation from that previous feature's devoted wife, for Totter to savour: Tension. This is a prior TCM recommendation here and can be felt Monday, August 6 at 5pm PST. 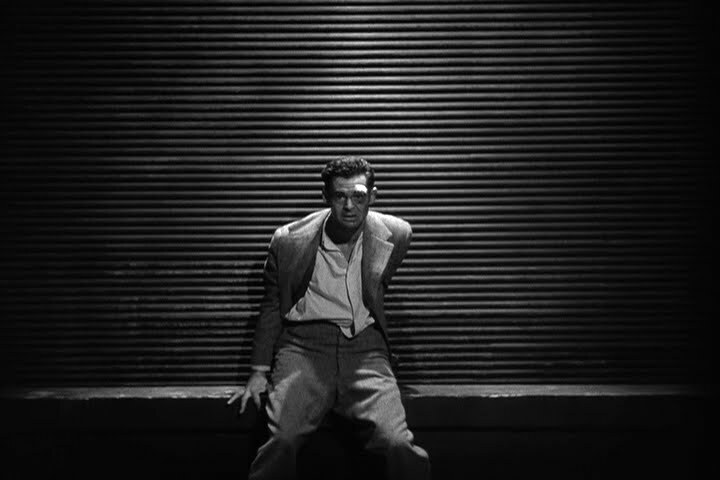 Completing a Totter trifecta is director Michael Curtiz's unsuspectedly stylish film noir The Unsuspected, previously reviewed here. One can confirm the suspected, Monday, August 6 at 11pm PST. Director Don Siegel's follow-up to Dirty Harry was a little crime caper that comparatively few took notice of perhaps because its title didn't suggest anything too exciting on the cinematic menu. The fact that it starred the often comedic Walter Matthau may have also contributed to the public's confusion over just what kind of film Charley Varrick was. U.S. TCM subscribers unfamiliar with this motion picture have the chance to find out Thursday, August 9 at 11:15pm PST. It is also a previously reviewed Blu-ray recommendation here. For those who enjoy the best in creative romantic comedy, be sure to catch Pillow Talk (reviewed here) Sunday, August 12 at 3pm PST. The Best Years of Our Lives is an incisive look into how each of three returning servicemen adapt to civilian life at home, after World War II. Previously, I highly praised The Best Years of Our Lives for its exceptional musical score composed by Hugo Friedhofer in the first part of a series entitled Top Ten: Motion Picture Music Treasures. This emotionally powerful tour de force will commence on TCM Wednesday, August 22 at 2pm PST. More of actress Virginia Mayo can be seen in Raoul Walsh's Colorado Territory, the impassioned director's artistically superior western remake of his previous film noir High Sierra. Readers can discover why I make this claim here, and for those familiar with the earlier Humphrey Bogart vehicle, decide for themselves when Colorado Territory is explored Thursday, August 23 at 3pm PST. A sterling example of how to present complex and enthralling characters all of whom develop naturally while still holding our intense fascination is Citizen Kane, a previous TCM recommendation here. This American film masterpiece, the only U.S. film represented on our Top Ten: World Cinema Treasures, will begin Monday, August 27 at 1:30pm PST. Dark Passage is a wildly engrossing yarn that combines the best of romance with the best of noir in the best location for both: San Francisco. Previously endorsed as a Blu-Ray release here, Bogart will make his dark passage on TCM Wednesday, August 29 at (early morning) 3am PST. The trailer for this film (one of Mr. X's Top Ten selections), can be seen here. Much later in the day, TCM will present another film noir starring Humphrey Bogart. Despite its ridiculously hard to follow plot, this film's wildly entertaining detective yarn is worth waking up for. Previously reviewed here, The Big Sleep will awaken (updated) Saturday, September 29 at 9am PST. A most talented friend on Facebook, Leilani Roundtree, has graciously allowed me to post her own very special modernised trailer for The Big Sleep. This amazing work both spoofs contemporary coming attractions while paying homage to the early classic in a most delightful way! Enjoy! This month's Happy Birthday shout-out goes to the vivacious Cameron Diaz, actress, producer, author and fashion model who turns 46 on August 30th. She's known to most filmgoers for her wildly popular roles in The Mask, My Best Friend's Wedding, There's Something About Mary and Charlie's Angels, although we should not forget her more appreciable acting talent on display in Being John Malkovich, Any Given Sunday, Vanilla Sky, and Gangs of New York. The Soundtrack recommendation this month is David Shire's jazzy but dissonant powerhouse score to The Taking of Pelham One Two Three. Shire nails this nail biting thriller with a score as pumped and commanding as the New York subway terrorists taking control of the titular line full of passengers. This unique combination of rhythmic big band and classical serialism works perfectly both with the visuals and as a stand alone listening experience. The soundtrack was issued by Film Score Monthly and is available at Screen Archives Entertainment, along with some useful background information and music samples, by clicking on the accompanying image. The DVD recommendation this month is the previously reviewed film The Set-Up available in this box set along with some other fabulous films noir including The Asphalt Jungle, Gun Crazy, Murder My Sweet and Out of the Past. For more information including ordering from Amazon.com, click on the image.